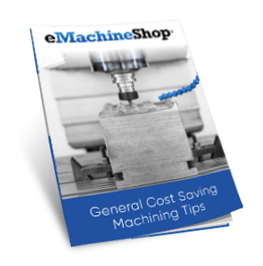 eMachineShop has machined brass parts for over 15 years. 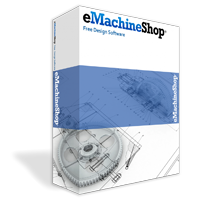 You can design and order your parts with our free CAD software or upload your own CAD file for a fast quote. is a metal made from copper and zinc, known for its machinability and slight gold appearance. Brass is used in a variety of products; containers, lids, handles, marine parts, lighting fixtures, parts of musical instruments, lamp parts, knobs, handles, bearings, sleeves, bushings, nuts, bolts, gears, valves, hinges, gibs, plumbing, electrical devices, bells, clock hands and zippers. 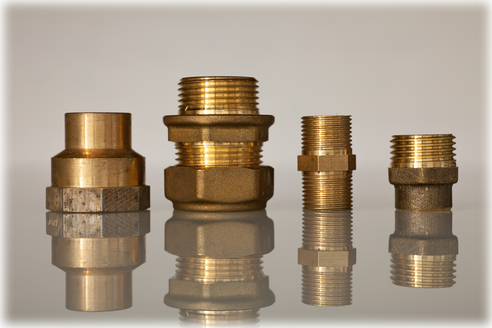 230 Brass / UNS C23000 / EN CW502L Known for good corrosion resistance against seawater, and ideal for hot and cold working. This alloy has a machinability rating of 30, and can be brazed and enameled. Applications include steam and hydraulic castings, weather stripping, valves, conduit, gears, sockets, statues, fasteners, fire extinguishers, jewelry, decorative chain, condenser tubing, heat exchanger tubing, plumbing pipe, radiator cores and buttons. 240 Brass / UNS C24000 / EN CW503L Excellent ductility and ideal for deep drawing. Better mechanical properties than 230 Brass, but lower corrosion resistance. Can easily be hot and cold worked. Applications include battery caps, flexible metal hoses, bellows, musical instruments, clock dials and pump lines. 260 Brass / UNS C26000 / EN CW505L Excellent for cold working and deep drawing, and allows for severe cold deformations due to high ductility. Applications include radiator cores, tanks, ammunition cases, flashlight shells, electrical components, lamp fixtures, fasteners, locks, hinges, rivets and plumbing parts. 270 Brass / UNS C27000 / EN CW506L Stronger than 260 Brass, but slightly harder to machine. This alloy has excellent soldering and brazing properties and is suitable for both hot and cold working. Applications include handrails, kick plates, grommets, and bead chain. 330 Brass / UNS C33000 Belonging to the yellow brass family, this alloy has good corrosion resistance. 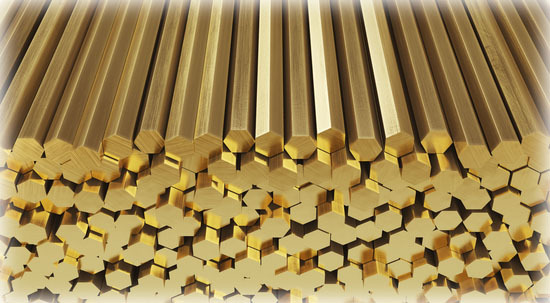 It is machined more easily than 230 Brass and 240 Brass and has excellent cold working properties. Applications include pump cylinder liners, power cylinder primers, J bends and plumbing accessories. 340 Brass / UNS C34000 / EN CW600N is a medium leaded brass. This alloy is easily machined and soldered, and has good corrosion resistance. Applications include dials, engravings, instrument plates, clock parts, lock parts, hose fittings, threaded connectors and couplings. 360 Brass / UNS C36000 / EN CW603N Known for having the highest possible machinability rating of 100, 360 Brass is used as the reference for machinability of other metals. Applications include fluid connectors, threaded inserts for molding, hose barbs, sensor bodies, couplings, fittings, thermostat parts, latches, valve stems, nozzles, unions, pneumatic fittings, valve seats and gauges. 377 Brass / UNS C37700 / EN CW612N Forging brass gets its name from its impressive hot forgeability rating of 100. It has good soldering and brazing characteristics, and is easily machined. Applications include door handles, furniture hardware, covers, fuse bodies, golf putters, valve bodies, and pressings.